Goal: Provide additional information regarding experience gains. Target Audience: Anyone who wants to see more statistic related to experience gains. 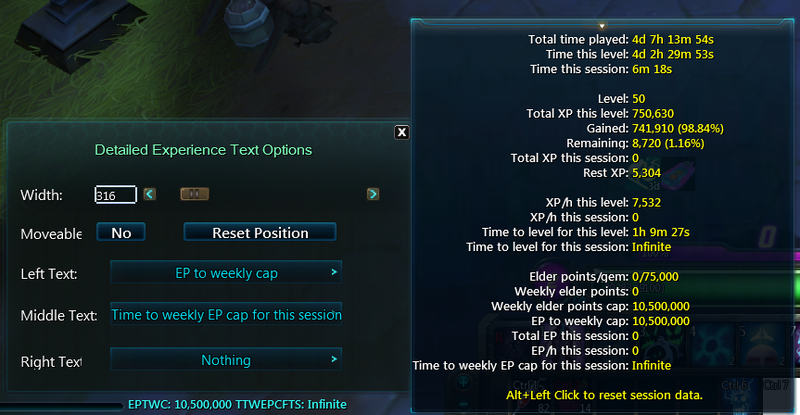 People who make leveling guides can use this as a tool to measure XP/h to pinpoint the best leveling areas.